For professionally done headstone lettering in Liverpool, contact the experts. Choosing a memorial for a lost family member is an important step in the grieving process. Used to mark the gravesite of the deceased, a headstone also memorialises his life. It is important to choose, not only a suitable headstone, but also the most appropriate lettering for the stone. If you need assistance with headstone lettering, our professional team is able to assist. There are 2 considerations to bear in mind for the engraving of the headstone. In Liverpool, headstone lettering must first be carefully planned. 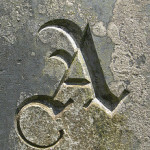 The first consideration is the type of engraving, and the second is the font of the letters. As a general rule, Traditional Roman font is most often used as it is clear and easy to read. There are also different styles of engraving to choose from. Our specialist expert stone mason will assist in making the most suitable choice. You can choose from the traditional hand cut style, or the more modern sandblast style. All the lettering, regardless of the style, can be finished in various colours to match the colour of your chosen memorial. This includes silver or 23 and a half carot gold leaf, both of which are among the most popular choice. A headstone’s lettering can greatly enhance the design on the chosen memorial stone. It can provide personal meaning that will be a lasting legacy of the deceased. 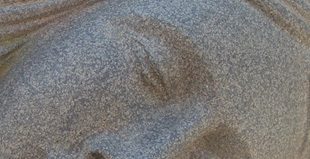 Headstone lettering in Liverpool is expertly engraved by our professional stone mason. When you need assistance with headstone lettering, be sure to contact T. Lyon & Son. We have been a family run business since 1929 when Thomas Lyon first established the business. Our aim is to provide longevity and quality in all the work we do. We can also assist you in choosing the most appropriate epitaph for the headstone. Other than the name of the deceased, and the dates of his time on earth, you could choose a verse or a few words that are meaningful and represent the life of the deceased. 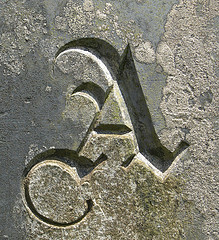 Headstone lettering in your preferred choice is a special way to commemorate the life of the deceased.